Michael Lee Foust, 66, of 6861 Sandy Creek Church Rd., Staley, died Thursday, March 28, 2019 at his residence. Memorial Services, 3PM, Monday, April 1, 2019, at Loflin Funeral Home Chapel, Ramseur. 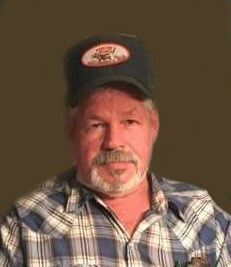 Michael was a native of Randolph County, retired self-employed welder and was presently active in farming. He was preceded in death by his parents, John and Gladys Marie Foust, brother, Roger Foust. Survivors: daughter, Michelle Hinshaw and husband, David, of Asheboro, brothers, Larry Foust and wife Phyllis, of Liberty, Neal Foust and wife, Debbie, of Asheboro, grandchildren, Zac Hinshaw, Nolan Hinshaw, Emma Hinshaw, longtime friend Becky Coley . Visitation, 2PM to 3PM, Monday, Loflin Funeral Home & Cremation Service, Ramseur. Condolences may be made online at www.loflinfuneralservice.com.